As the pace of innovation accelerates, customer needs change, and industries converge, many companies find it challenging for their information technology to support the rapidly changing needs of the business. Pressure is mounting for IT to find ways to support modern business innovation and agility, as businesses take a strategic look at their technology to see if it’s shaping or hindering their future. 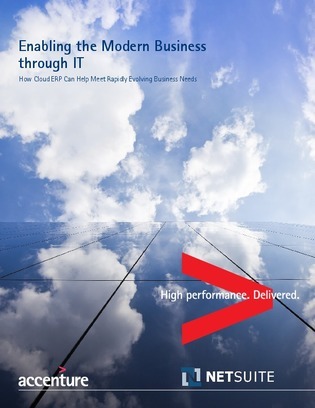 Download this white paper to examine how to start the process of modernizing your IT with the help of cloud-based ERP.